Borrowing from the new prototype that was introduced last year for traditional in-line locations, the Logan remodel translates the look and feel of the new design for the airport format. Following the Logan remodel, UFood Grill plans to open one of the first new construction dine-in locations in the greater Boston market this year. The restaurant will be in close proximity to corporate headquarters to fulfill site visits for the growing list of franchise prospects attending UFood Grill Discovery Days. Another traditional location is also in development in Baltimore. “Our new prototype reflected at Logan Airport and in development for traditional restaurants in Boston and Baltimore signal a new era for UFood Grill and will serve as examples for expanding the UFood Grill franchise network to more than 100 franchise locations over the next four years,” Rincione added. The company was named a Top Up And Coming Food Franchise by Franchise Business Review in 2015 and is targeting experienced restaurant operators and multi-unit franchise investors for franchise development. More information about UFood Grill franchise opportunities is available at ufoodgrill.com/own-a-grill/. The UFood Grill menu includes chicken, beef, turkey and veggie burgers, unfries, steak tips, wraps, bowls, salads and paninis prepared fresh using natural and organic ingredients, whole grains, light cheeses, and freshly-made dressings. 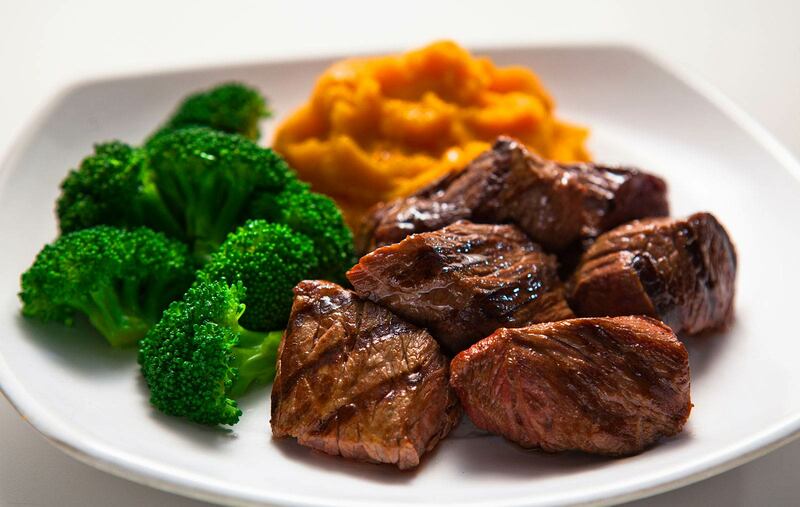 Meals are low in calories, fat and sodium and are made to order. Nothing is ever fried. Beverages include real fruit smoothies and specialty teas. Created in a better-for-you way, UFood Grill is transforming the industry one healthy meal at a time.